Pinterest Marketing can be highly effective for many types of business. Pinterest is one of the most recent Social Networks to make a major impact online since it was launched in late 2009. This pinboard style photo sharing Social Network allows users to manage their own boards and follow the boards of others or pin others images to their boards. There is also the ability to like photos on other peoples boards and have your own pictures liked by others. Nice idea but how can Pinterest Marketing make a difference for your business..? As a Social Network Pinterest is still relatively unknown by many. It has grown so fast that it appears to many as if it has come from nowhere to be the official third most used Social platform behind Facebook and Twitter. More amazing still is the level of user engagement that Pinterest Marketing can achieve. In fact the time that the average user spends on the site per day is more than that of the average user time on site of Facebook and Twitter combined..! Pinterest is not a Marketplace to miss out on as the average spend form advertising conversions is also more than twice that of Facebook. 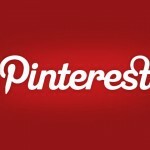 Soapbox Digital Media believe Pinterest is a must as it has significant benefits on other online Marketing Strategies. But, in some niches it can be the base for incredible online business growth. Especially in the fashion or wedding related niches as the user demographic on Pinterest is 80% women between 35 and 44. This is significant as it represents the ideal customer demographic for many types of business. Pinterest Marketing is not particularly difficult to master either. The requirements for a successful Pinterest Marketing campaign are the ability for all of your website pictures to be syndicated to your business Pinterest account and the ability for people to pin the pictures on your website to there board. This can allow a promotion to go viral overnight in the right circumstances. In fact one of our customers saw an image from their Pinterest enabled blog post be re-pinned over 7 thousand times in one day. What a product launch..! Needless to say they were very satisfied with the result of what correct use of Social Media and Pinterest Marketing can have.